First comes the rating, then the reveal. Or something like that. These things aren't set in stone. Octopath Traveler popped up on Korea's rating board in a listing that suggested a PC port of the Nintendo Switch JRPG was likely imminent. Now, right on cue, Square Enix has offered up a June 7 release date. The announcement article vanished after publication, but not before the internet caught on. 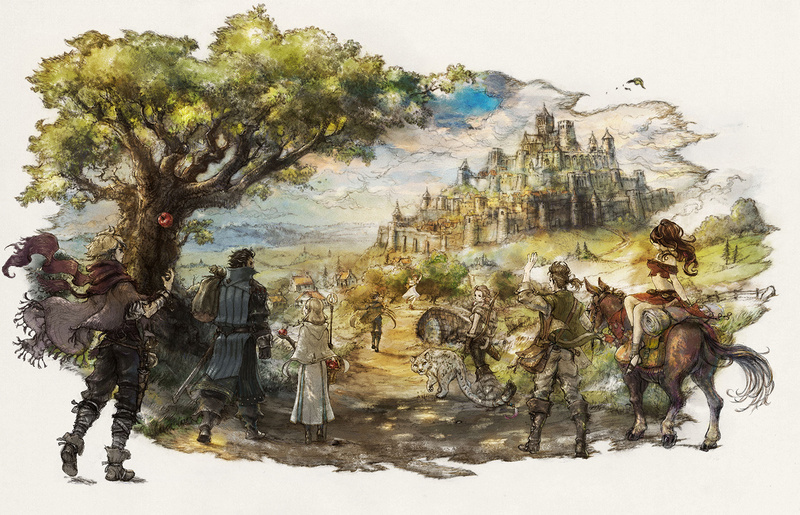 Square Enix's blog post noted that Octopath Traveler will launch on Steam and the Square Enix Store, "the first time non-Nintendo owners can experience the game." The rest of the article summed up familiar bullet points: the "HD-2D" aesthetic, the eight-hero story conceit, and guard-breaking. If you haven't been following along because you don't own a Nintendo Switch but you're open to the idea of a more modern-looking take on retro RPGs, you can get up to speed with our Octopath video review. Chris felt it "mostly delivers on its promise to give us eight stories worth seeing through." It's uncertain if the post was just premature or if there's something bigger going on, but it's clear that Octopath Traveler is PC-bound. While the game's structure lends itself well to the Switch, I can see this tearing up the Steam charts all the same. It's had time to simmer and get its name out there. If you've already been there and done that, note that the developers are currently in the midst of the mobile-only Octopath Traveler: Champions of the Continent before the next full console game. I don't know how much of a rush anyone is in for a sequel, but it'll be nice to run into one down the road.